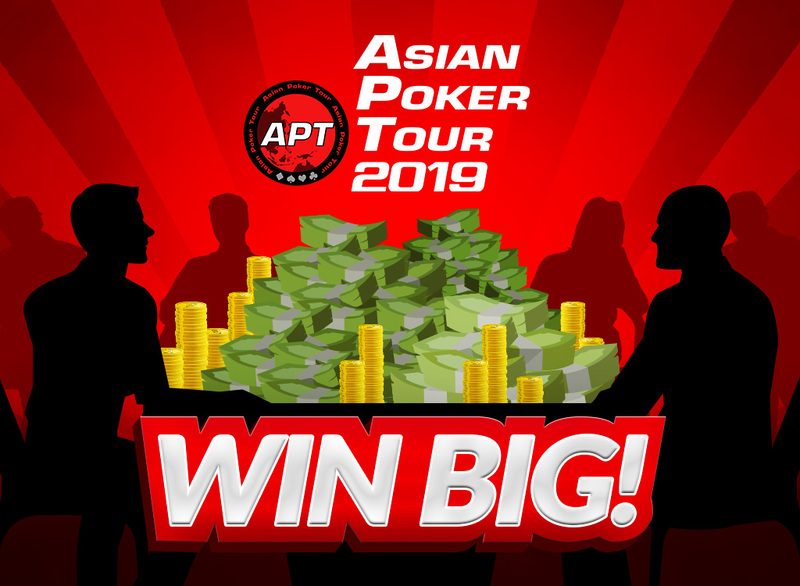 With the steady growing number of poker players fueling the Asian poker market and the long term host partner venues of the Asian Poker Tour, 2018 is marked as our best year to-date. We kicked it off by opening the floodgates of Vietnam, hosting the first-ever international poker festival in Ho Chi Minh City. At the close, the APT held 9 successful events in various parts of the region. 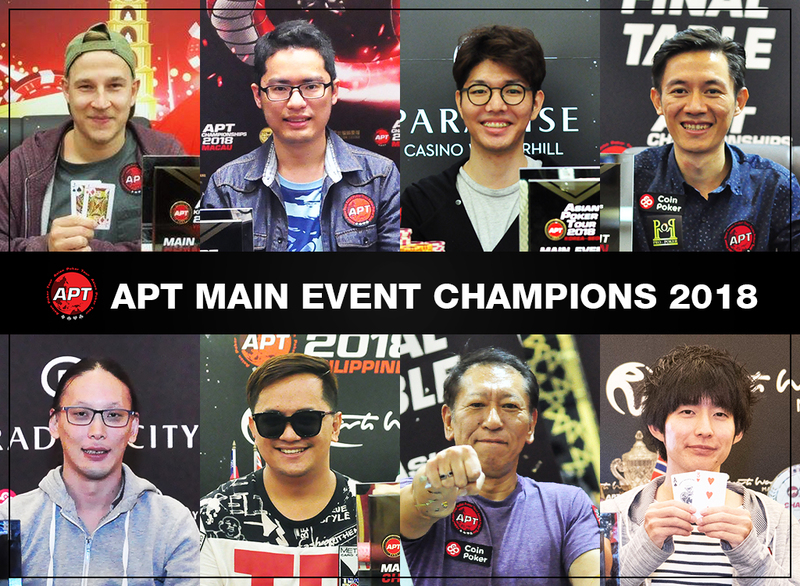 Before we look ahead to the upcoming 2019 season, we take a brief look back at the year’s featured events – Main Event and Championships Event. These events amassed approximately US$4,2 Million in combined prize pools. Listed below are all of the glorious victors and their achievements. With 2019 already upon us, we’ve made sure to release our schedule well ahead to give everyone plenty of time to prepare. It is going to be another big year at the APT. 12 events are lined up with 10 stops confirmed. Two new destinations have been added, Tokyo, Japan and Taipei, Taiwan. Both will take place in February. Full schedules can be found on the home page of the website. 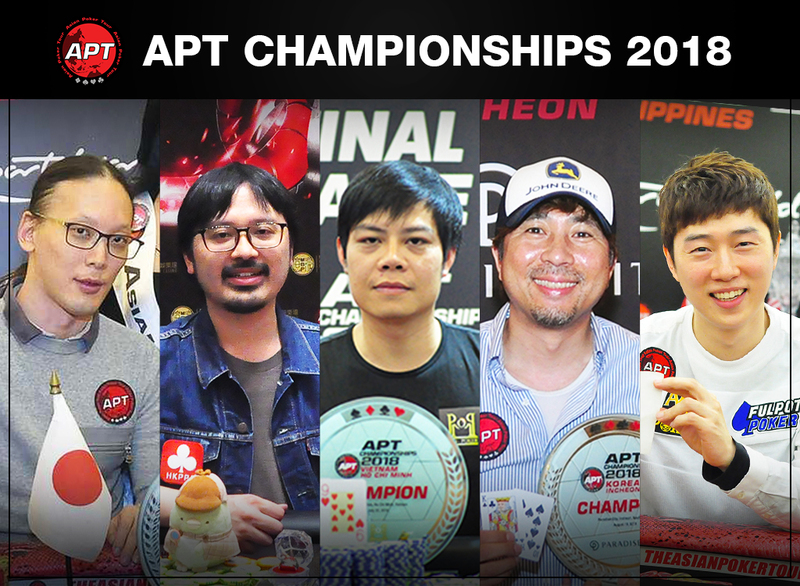 One modification to expect in 2019 is the APT’s pay table for the Main Event and Championships Event. Players have argued that the “dream of winning big” was lost with the “1 in 6” scheme. Therefore, the featured events will now see a payout structure of 10% of the field with bigger prizes awarded to the top 3 places. As for the side events, which includes the High Rollers events, these will maintain the “1 in 6” payout. We look forward to seeing all of you in 2019! We wish you all a wonderful holiday season and a Happy New Year! 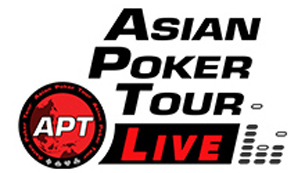 The Asian Poker Tour kicks off the new season back in Ho Chi Minh City, Vietnam. The festival takes place from January 9 to 20 with VND 14 Billion in guaranteed prizes. Full APT Kickoff Vietnam 2019 schedule.